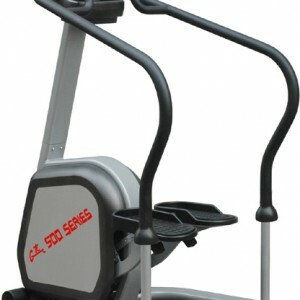 US Built to meet the demands of the modern Gym. 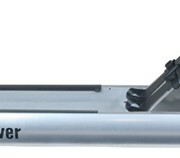 This is our most popular rower and is increasingly being picked as the Rower of choice in large Gym Chains. The Style and colour of the M1 Lo-Rise matches conveniently the GTC Cardio range. Built in Steel Oval Tube frame the M1 is as tough as it is appealing. With max user weight of 500Kg this is one sturdy machine for high usage environments. 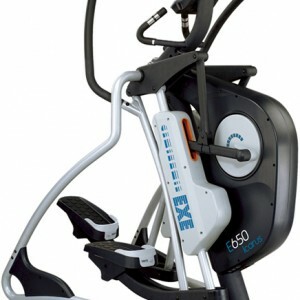 Brilliant Silver finish will match the latest in Cardio lines, (see the GW EXE cardio range). This modern machine in its eyecatching finish still retains all the advantages of the waterRower over air and magnetic resistance rowers. When Rowing, the connection between you and the water is simply and immersed paddle. There is no solid mechanical connection simply the contact between the paddle face and the water, dampening out any mechanical feel. 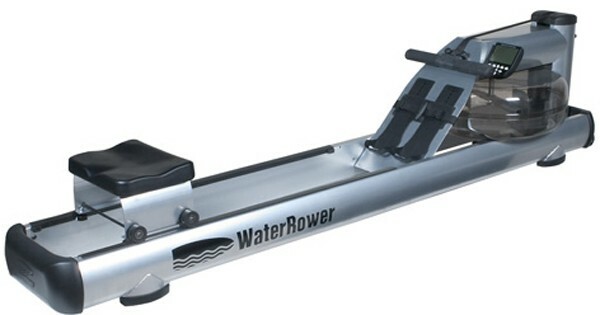 The WaterRower’s patented WaterFlywheel has been designed to design emulate this natural feature of rowing. Making the WaterRower naturally smooth. Conventional mechanical rowing machines tend to be jerky and jarring, fatiguing the user mechanically as well as aerobically. If you fatigue mechanically when rowing, you are doing it wrong. The rower is ideal for a low-impact workout. It is a great cardiovascular workout but at the same time it works on building strength as all the major muscles groups are engaged whilst exercising. N.B. Free installation: – We can provide free assembly/installation to all customers throughout Devon.